Today I’m happy to announce that MixWithUs.com is up and running and accepting members! Have you ever mixed an entire album? It’s an awesome learning experience, and it’s a LOT of fun. If you haven’t done it yet, you need to. If you don’t have an entire album’s worth of material recorded, no problem. Use mine. I’m having a blast mixing this record, and I’d love for you to come hang out and mix this record along with me. You can work at your own pace. The files are yours to keep. Also, in addition to the tutorial videos and multi-track downloads of my entire album, I’ve put together a total of 6 Bonuses for you. I list them all out over on the site. Go check it out real quick. See if it sounds like something you want to be a part of. I opened the doors last night to people on the interest list. Several have already joined and are working through the Week 1 material. 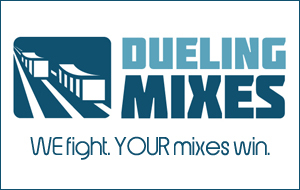 Click here to check out MixWithUs.com!! Got any questions? Leave a comment!